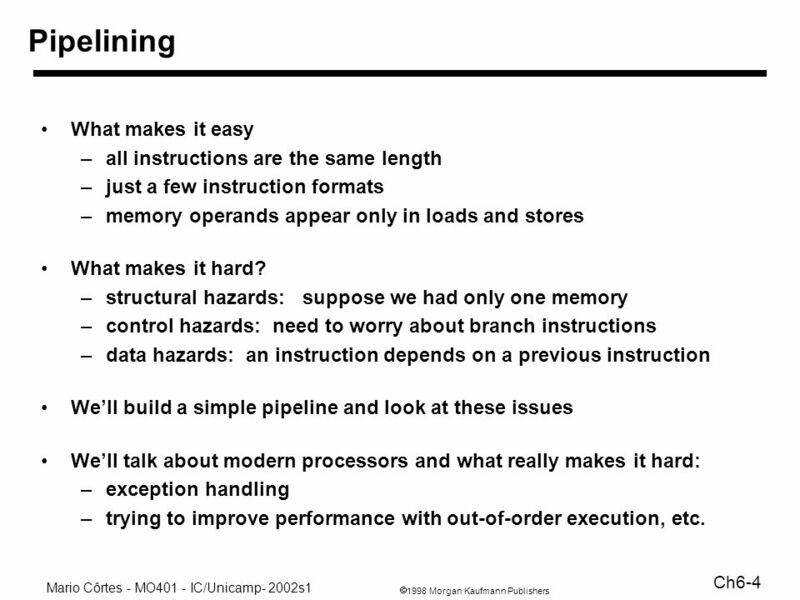 just a few instruction formats memory operands appear only in loads and stores What makes it hard? 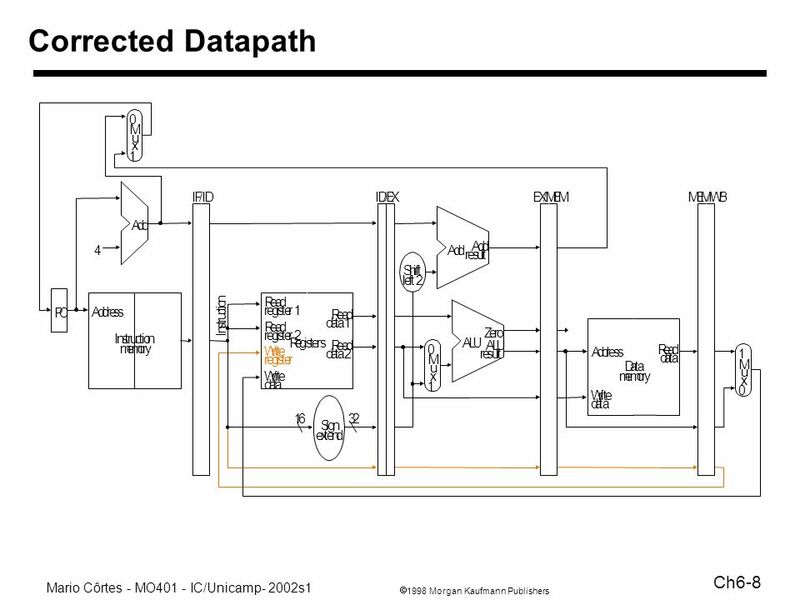 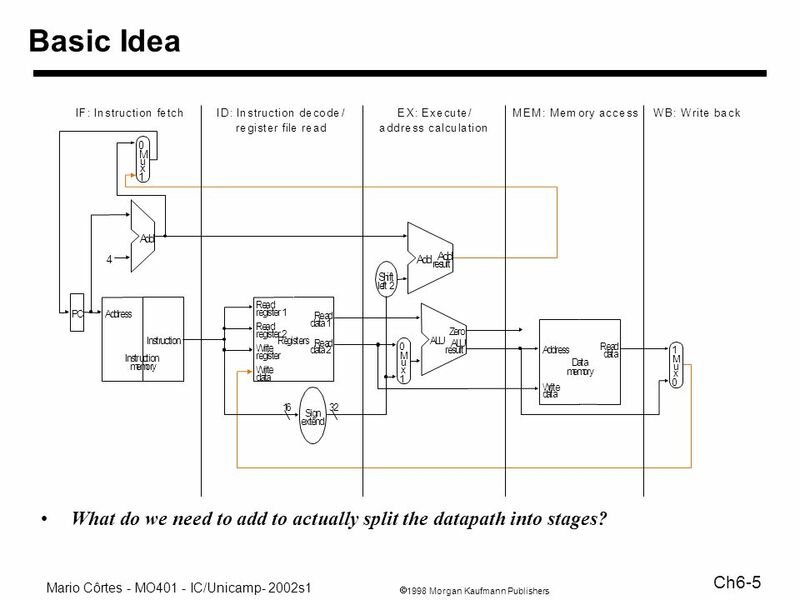 structural hazards: suppose we had only one memory control hazards: need to worry about branch instructions data hazards: an instruction depends on a previous instruction We’ll build a simple pipeline and look at these issues We’ll talk about modern processors and what really makes it hard: exception handling trying to improve performance with out-of-order execution, etc. 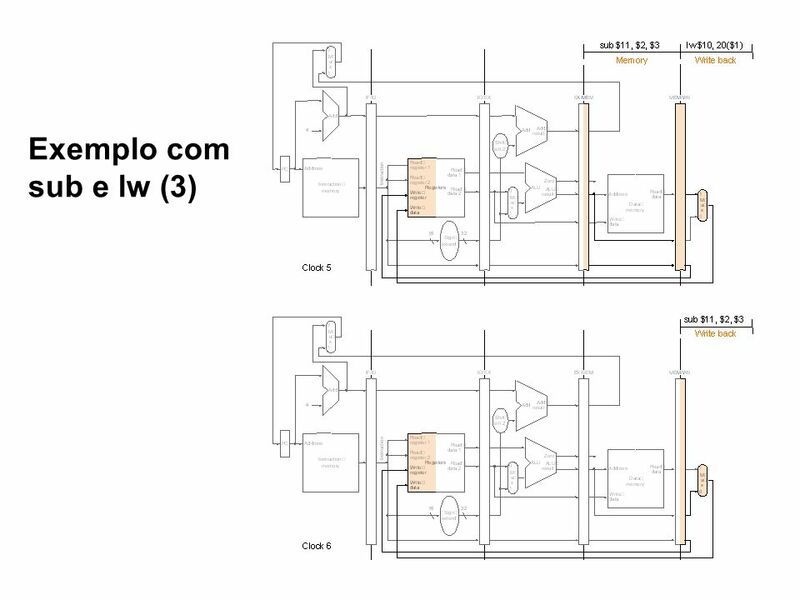 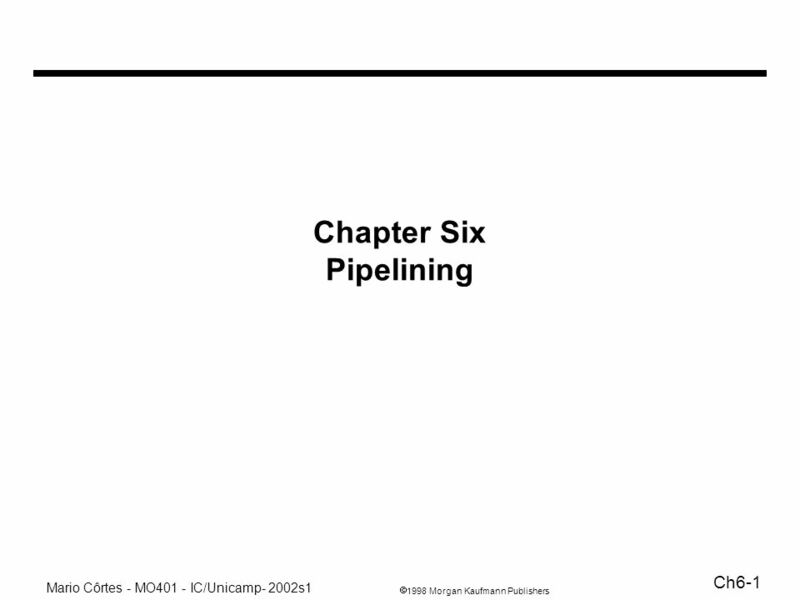 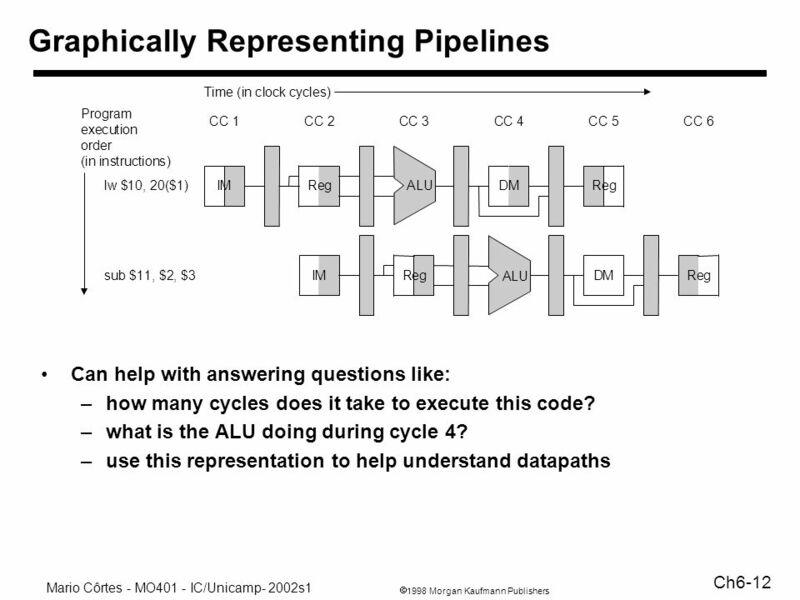 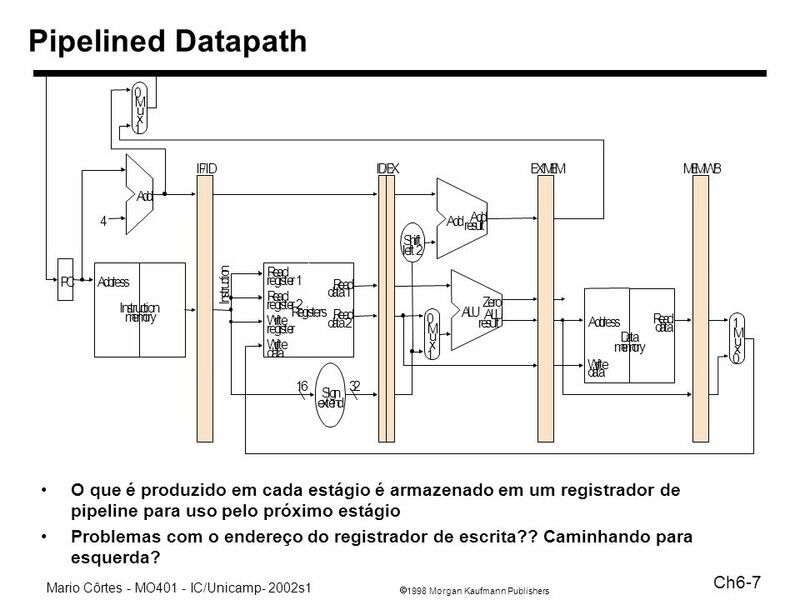 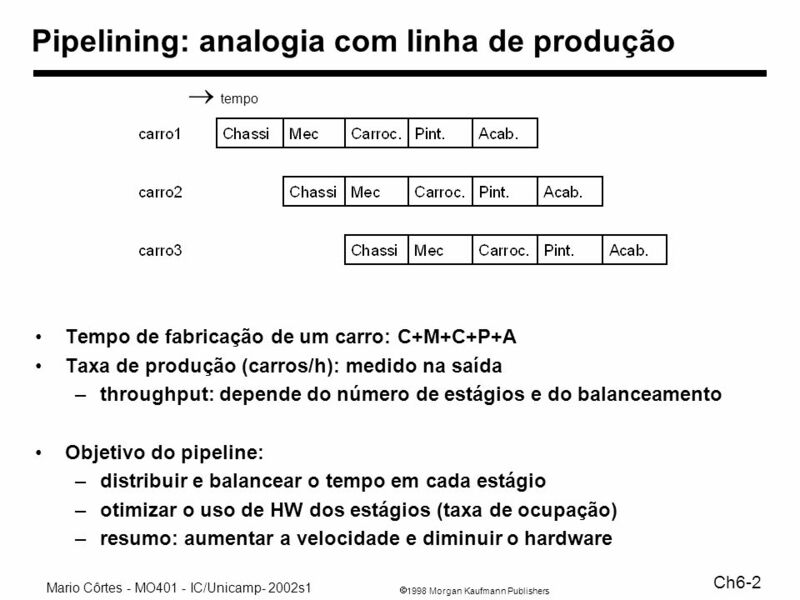 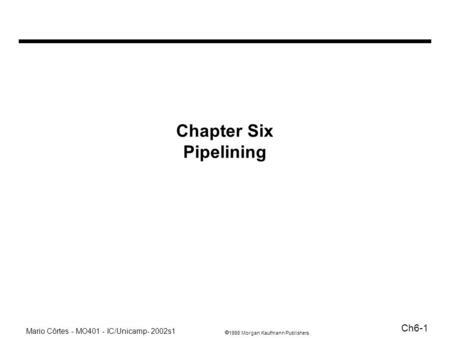 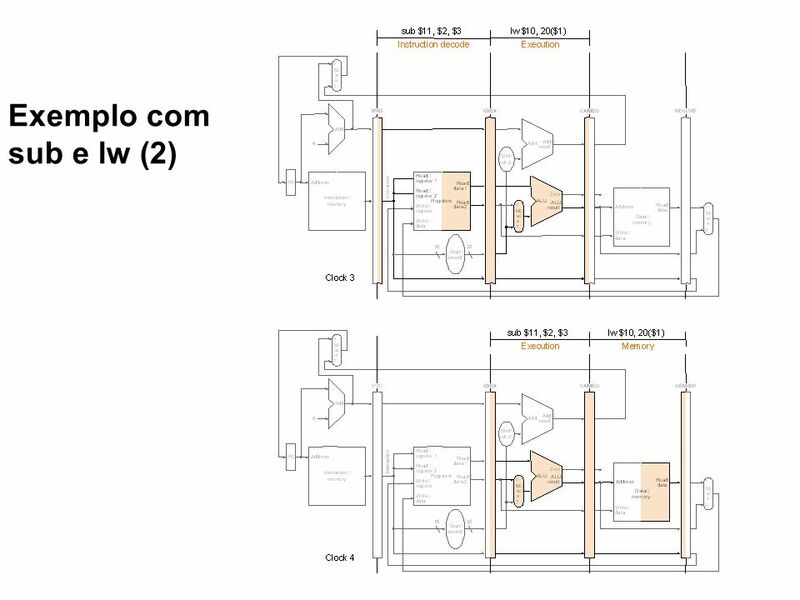 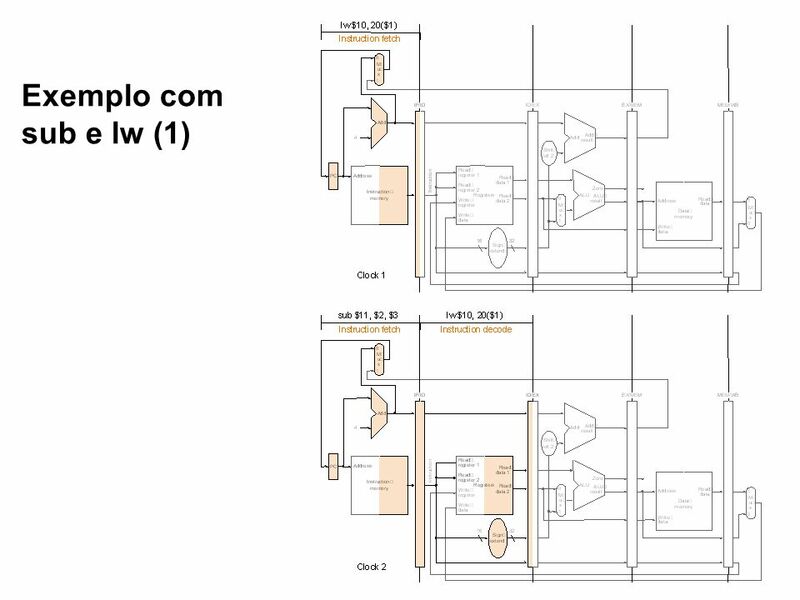 Carregar ppt "Chapter Six Pipelining"
1998 Morgan Kaufmann Publishers Mario Côrtes - MO401 - IC/Unicamp- 2004s2 Ch7a-1 Chapter Seven Sistemas de Memória. 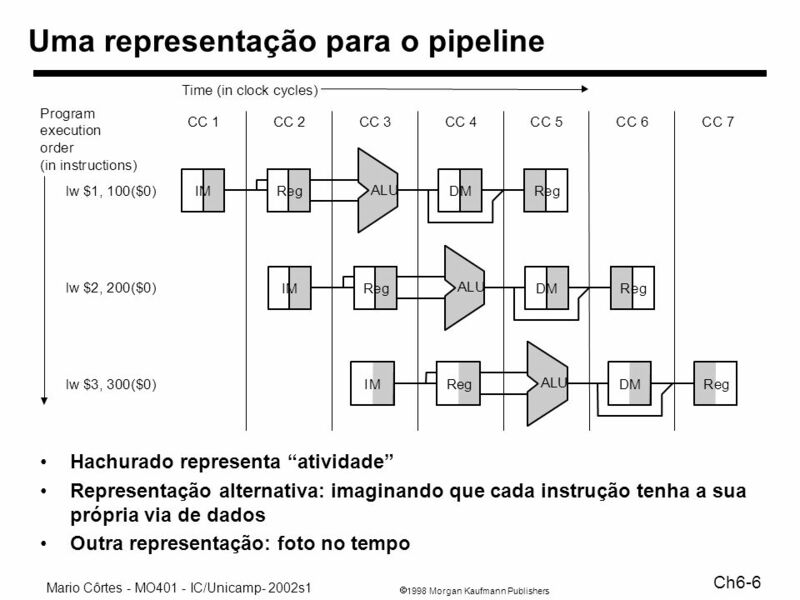 MO Prof. Paulo Cesar Centoducatte MC542 Organização de Computadores Teoria e Prática.